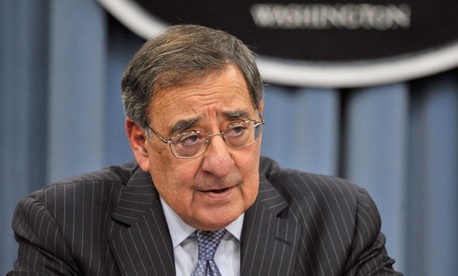 Defense Secretary Leon Panetta on Wednesday informed employees that he had formally notified Congress that the across-the-board budget cuts scheduled to take effect on March 1 could lead to widespread furloughs for the Pentagon’s civilian workforce. While military service members are protected from spending reductions, civilians are at risk, he noted. “Should sequestration occur and continue for a substantial period, DoD will be forced to place the vast majority of its civilian workforce on administrative furlough,” he said. He added that affected employees would receive 30 days’ notice before any furloughs occurred, and said the department would do what it could to shield benefits. “We also will work to ensure that furloughs are executed in a consistent and appropriate manner, and we will also continue to engage in discussions with employee unions as appropriate,” Panetta said. Wednesday’s announcement did not come as a surprise. The Pentagon has long warned that sequestration would likely result in furloughs of most of its 800,000 civilian workers. In early January Panetta announced “prudent measures” to begin preparing for the across-the-board cuts and the possible budget fights over the continuing resolution, which expires on March 27. Those measures included a hiring freeze and delays in some new contract awards.